The Tool for Staff Assessment is used to continually monitor productivity in individual warehouse sections. Evaluated performance indicators are displayed in easy-to-read tables and graphs. They can be easily printed and shared with employees, for example on a notice board. 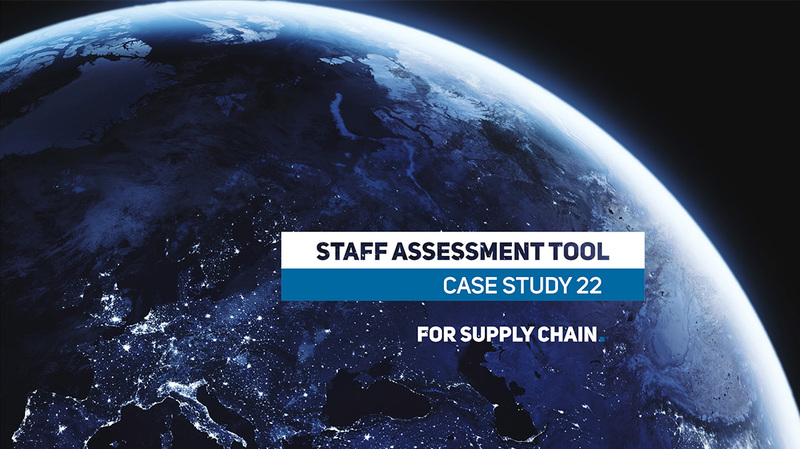 We created the Tool for Staff Assessment at the request of a client who wanted to motivate warehouse staff to perform well. There are hundreds of employees working in the client’s warehouse. The client needed to develop an employee performance monitoring system for individual warehouse sections. He used the outputs from the Tool to give feedback to the section managers and as a basis for calculations of employee commissions. In the service section of the file, an authorized person inputs the attendance data and the data collected from warehouse scanners. Data input can be automated, manual, or a combination of both. 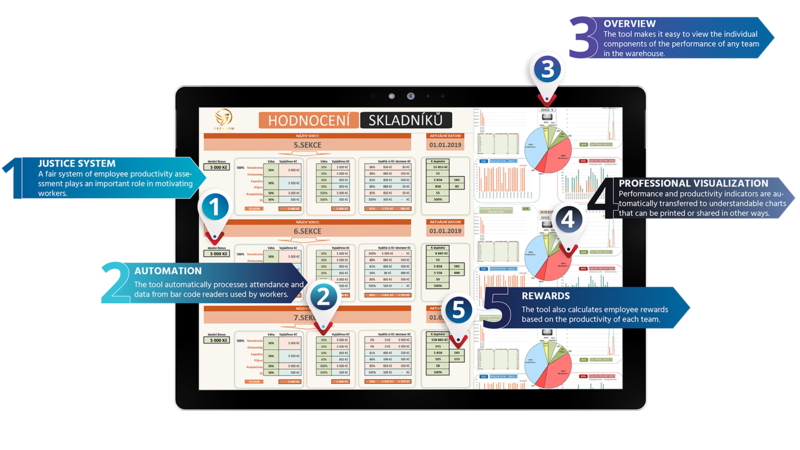 The raw data goes through automated calculations of productivity indicators. Each action (move) in the warehouse has a certain value which is subsequently used for the final evaluation of productivity. The results for each warehouse section are available in tables and graphs. The weekly results of each warehouse section are arranged so it could be printed on a single sheet. The client posted the sheets on notice boards in the workplace and also used them as a basis for meetings with section managers. In addition to the motivational function, the Tool for Staff Assessment also serves as a basis for a fair rewarding system not only for an individual section of a warehouse but also for each individual employee. Our other solutions for warehouses include Daily Productivity Tracking Application, Warehouse Summary or Distribution Center Supply Management Tool.